This unique story swept me off of my feet. 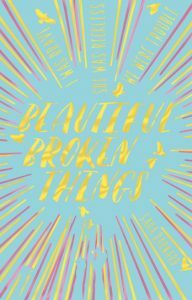 It was filled with a lot of situations that teens can relate to, and it is brimming with emotion and bad decisions. I would recommend this book to anyone who loves books about the complexities of female friendship. Thank you for sharing excellent informations. Your web-site is so cool. I’m impressed by the details that you’ve on this blog. It reveals how nicely you perceive this subject. Bookmarked this website page, will come back for more articles. You, my pal, ROCK! I found simply the info I already searched all over the place and simply could not come across. What an ideal site. Hey! Actually no, I didn’t build the website from scratch- I used a website called WordPress (wordpress.com). They are a popular platform for building blogs. My blog’s theme is called Sela by the way, but there are thousands of others to choose from. Thank you for your positive feedback and I hope you continue to enjoy my content! Your method of describing everything in this article is actually fastidious, all can without difficulty know it, Thanks a lot. Generally I do not learn article on blogs, but I would like to say that this write-up very compelled me to take a look at and do so! Your writing taste has been surprised me. Thanks, very nice post. I think this is a great idea, but could you elaborate a bit? I am interested in what you think I should input. Hiya, I’m really glad I’ve found this info. Nowadays bloggers publish only about gossip and web stuff and this is really irritating. A good site with exciting content, that is what I need. Thanks for making this website, and I’ll be visiting again. Do you do newsletters by email? Unfortunately I do not have a newsletter, but I update my blog quite regularly so please do come again!